Answer: First, we do know how fast asteroids move. 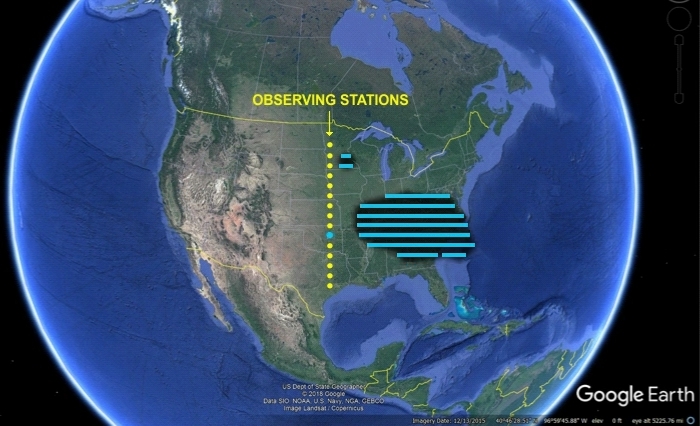 Every one of the 500,000+ asteroids that have been tracked and given designations have well-known orbits determined from multiple observations. If you know the size and shape of the orbit it’s possible to calculate the asteroid’s speed at any point. For readers not familiar with the term, occultation means the hiding of one astronomical body by another. When an asteroid passes between Earth and a distant star, that star will briefly blink out. Even if the asteroid is too small and dark to image telescopically (and many are) they’re still opaque and of discernible size. Stars are larger than asteroids, but are so distant they’re essentially point sources of light. If you’re watching through a telescope, you’ll see the star “turn off” for a short time as the asteroid passes in front of it, then suddenly reappear. This phenomenon isn’t as rare as you might think. 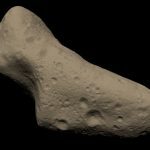 Check out http://www.asteroidoccultation.com/ for a list of upcoming asteroid occultations. 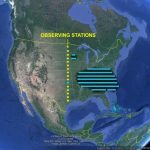 To observe one, you need to know how to find a (typically) faint star using charts or a computerized telescope. And you need to be in the right place at the right time — usually the more difficult challenge, since the area from which an occultation can be seen is a narrow strip of land anywhere from 20 km to 200 km wide. record (to an accuracy of at least 0.1 s) when the star blinks out and when it blinks back on. These days, astronomers most often record a digital video of the event with GPS time stamps applied. Some still observe visually and do their timing with a pre-syncronized stopwatch, but this method involves human reaction time and is not as accurate. Results are then reported to the International Occultation Timing Association (IOTA). By combining the data from multiple observers, and adjusting for location, IOTA can reconstruct the shape of the shadow. More observations yield higher resolution. Of course, IOTA never receives such an ideal data set. Observers don’t all line up perpendicular to the asteroid’s motion, some get clouded out, and some report data with errors. 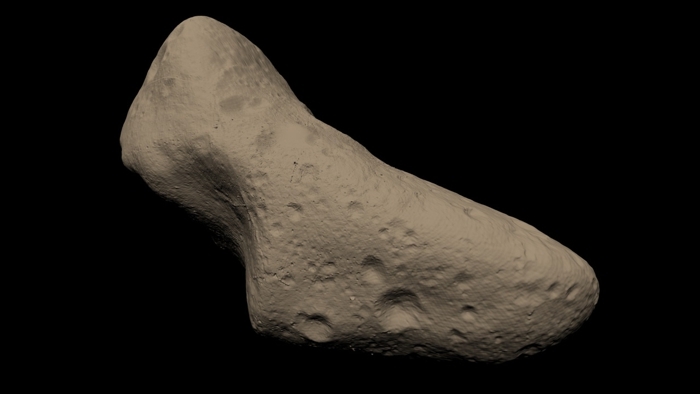 But even partial data sets give us a rough “image” — that’s how astronomers knew asteroid 433 Eros was “bone shaped” before it was actually seen. In 1998, the NEAR Shoemaker space probe captured this image during a flyby and confirmed IOTA’s occultation-based model. Click to enlarge. A single occultation only provides the shape of one 2D asteroid cross-section. Asteroids typically rotate and present different shadow cross-sections every occultation. Still, multiple 2D snapshots can build a 3D model. And any snapshot provides the opportunity to discover natural satellites (mini-moons) of the asteroid. Consider the observers near the top of the shadow path. The 2nd and 3rd observers will record an occultation. The 4th and 5ft will see nothing. The 6th–11th will record an occultation. The gap between observers who record an occultation is evidence of another body orbiting the asteroid. Observers 2 and 3 would get credit for the discovery of that satellite, as well as naming rights (if the satellite was not previously known). This has happened many times, and we now know hundreds of asteroids have satellites. The observer fourth from the bottom will also see something interesting. From that position the star will blink off and on twice. That lucky observer will experience what is called a grazing occultation as irregularities along the southern limb of the asteroid intermittently block the star’s light. I say “lucky” because, if the observing location had been a just a bit farther south, no occultation would have been recorded.